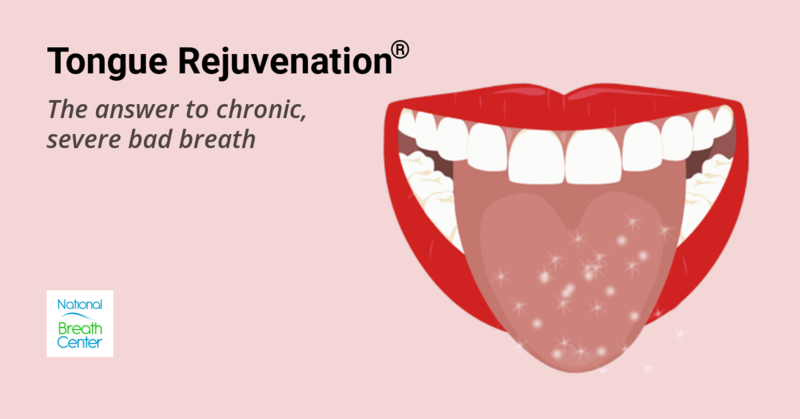 Tongue Rejuvenation® results in a lasting solution to the socially crippling problem of chronic bad breath. It’s painless and has helped thousands of individuals regain their confidence. From the complimentary phone consultation to the initial halitosis examination and finally Tongue Rejuvenation, our team is committed to every detail to ensure that the cure is 100% successful for you. At the National Breath Center, our Halitosis Elimination Program featuring Tongue Rejuvenation® is a time-tested (25+ years) answer to solving the chronic bad breath dilemma. It has been perfected with years of clinical research, and its powerful protocols are designed to eradicate all kinds of bad breath, no matter how severe. 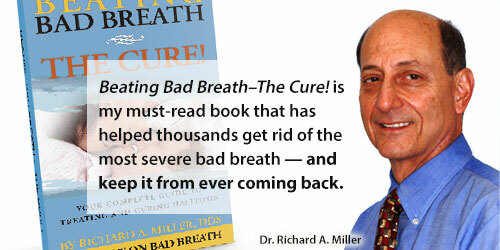 The key to totally eliminating bad breath is to remove the source of the problem. That is what we do. Through our painless treatment, Dr. Richard Miller and his team will meticulously remove all embedded layers of bacterial biofilm buildup using the Tongue Rejuvenation® technique, along with removing any other sources of odor that may be trapped under the gums. At the conclusion of treatment, when breath measurements have confirmed a cure, Dr. Miller will provide each patient with a clear, easy-to-follow daily program for maintaining their newly restored, odor-free mouth. Along with regular brushing and flossing, this maintenance prevents bad breath or bacterial buildup from returning. We believe so completely that we can eliminate your bad breath problem that we offer a Money Back Guarantee. 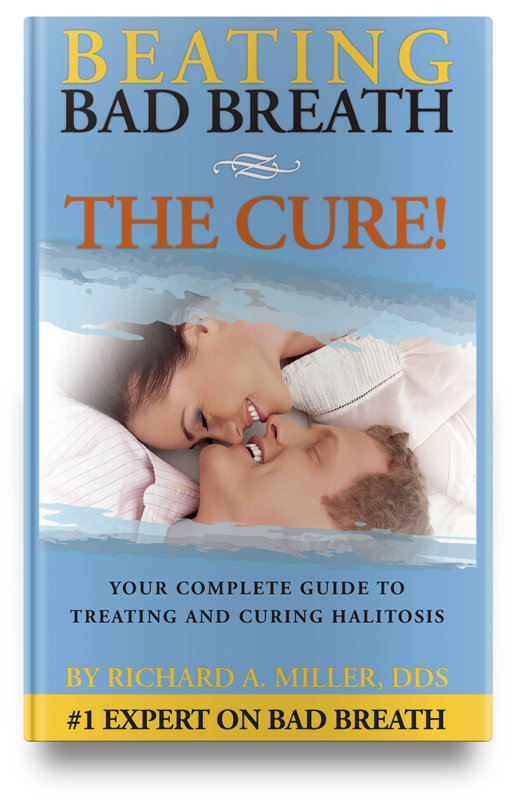 LEARN MORE about our complete Halitosis Elimination Program.